President Tarja Halonen met people from United Nations Office for Disaster Risk Reduction (UNISDR) and participated in Sustainable Development Goals and risks -workshop during her visit to Brussels. President Halonen had a meeting with Paola Albrito, Head Regional Office for Europe at UNISDR, and Rosalind Cook, External Relations Officer, to strengthen her future cooperation with UNISDR. Halonen has been a UN Global Champion for Disaster Risk Reduction since 2015 and she has championed the importance of including women in disaster risk reduction as well as inclusive societies for ensuring disaster resilience. 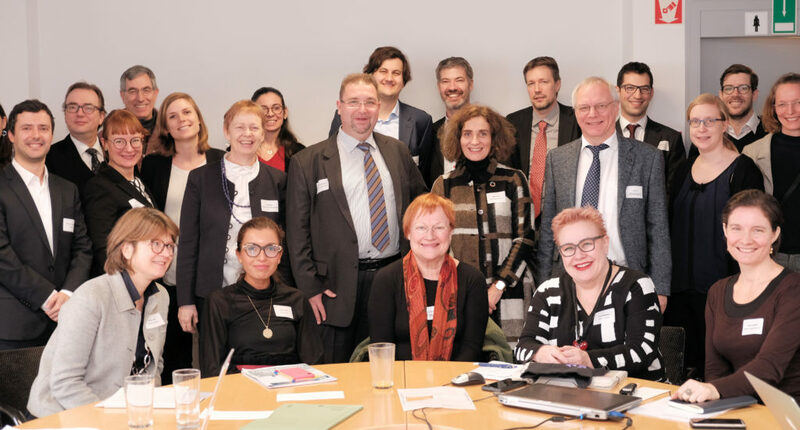 In the afternoon President Halonen participated in the risks and sustainable development workshop which was organised by PEER (a partnership of eight of the largest European environmental centres). Halonen took part in panel discussion with Director Tatiana Bosteels, from Hermes Investment Management, Head of prudential regulation & international affairs Cristina Mihai, from Insurance Europe, MEP Sirpa Pietikäinen and Claudia Hahn, SDG Coordination DG ENV, from European Commission. President Halonen emphasized the the nature of SDG’s; they are not a project they are a way of life. Other topics that came up during the discussion where the urgent need for better sustainability indicators, the challenges to define what a risk means and need for clarifying the long-term goals. There was also a press release published from the PEER workshop.